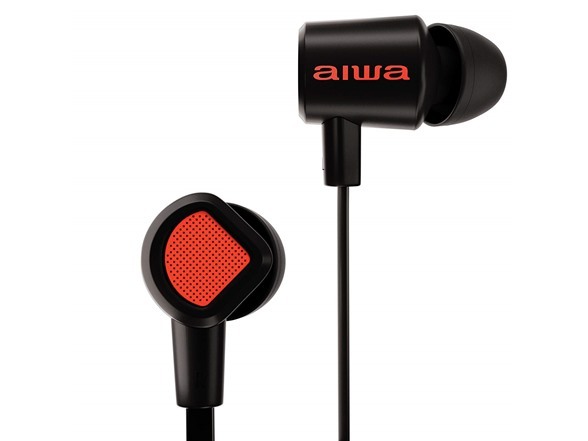 Aiwa follows a simple formula for delivering "double the hardware" of our competitors. We deliver this by avoiding bloated, inefficient sales channels, expensive marketing campaigns, and fancy packaging. For the Prodigy-1, that means we can deliver dual-driver audiophile quality earphones at a cost that others can't match. Whether you consider yourself an audiophile or not, your music matters. Standard-quality earphones simply can’t do it justice. Entire notes can get lost, the bass is weak, the treble is muddy - whether you're immediately conscious of it or not, the emotional impact is gone. 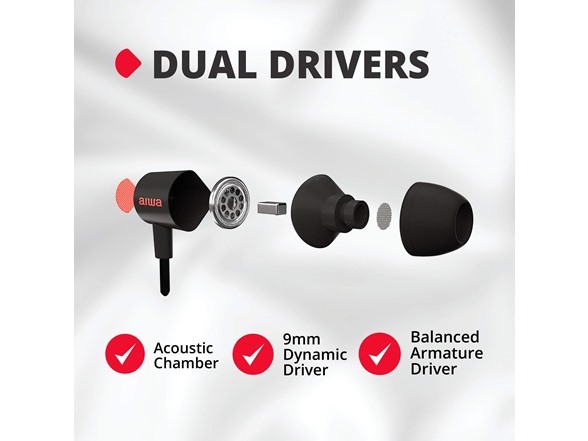 DUAL DRIVER EARBUDS WITH INCREDIBLE SOUND - Experience music the way it was recorded. 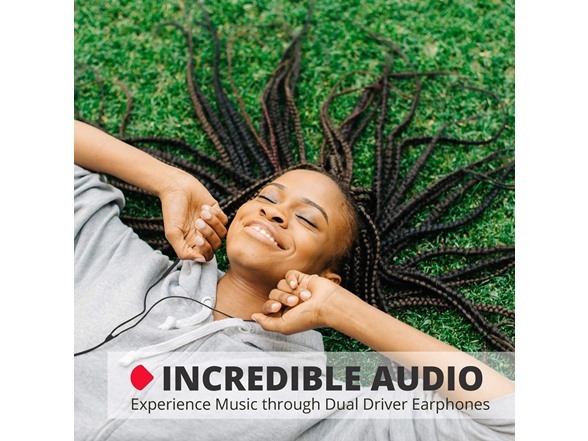 Hybrid dual driver technology creates a balanced sound signature, with crisp, clear trebles and effortless, deep bass.Your music is worth it. EARPHONE WITH MIC FOR HANDS FREE CONVENIENCE - Switch seamlessly from enjoying your music to chatting with friends. The inline remote and microphone on these earbuds allows you to answer calls and control playback, without looking at your phone. 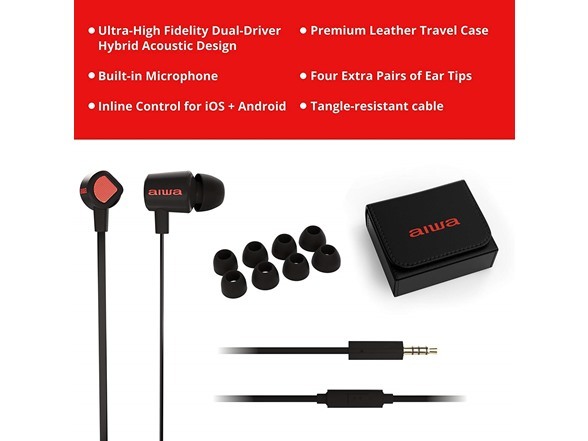 THESE EAR BUDS WITH CASE TRAVEL IN STYLE - The convenient travel case with a snappy closure protects your favorite earbuds while you’re on the move. 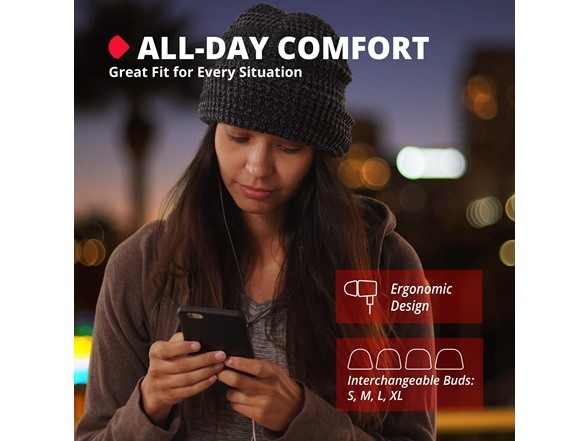 ALWAYS READY TANGLE FREE EARBUDS - Why waste time untangling cables, the Prodigy 1 headphones are designed with a tangle resistant, flat 3.5mm cable. You can connect to almost any audio source in seconds. ALL-DAY COMFORT - The Prodigy-1 in ear headphones, stay comfortable all day long. The ergonomic, feather light, earbud design, include both foam and silicone ear tips to ensure a stable fit, that feels fantasic. A dynamic and balanced armature transducer for each ear means a balanced frequency response with thumping bass and crystal-clear mids and highs. 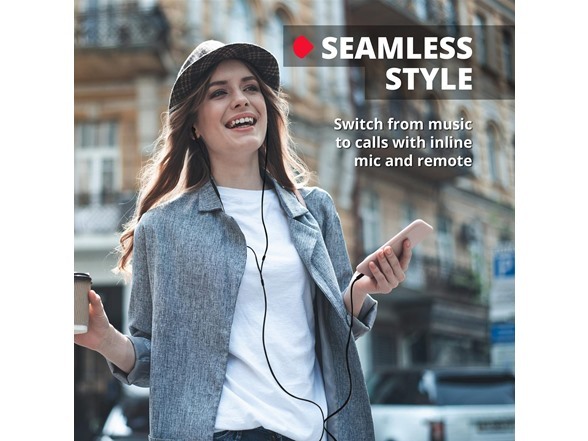 Take calls and control your music without getting your phone out. Works with iOS / iPhone and Android, either directly or through a USB / Lightning adapter. We intentionally used a very plain package for the Prodigy-1. Other earphone boxes can increase costs by as much as 20%. We think what's inside the box is more important than the box itself. The Prodigy-1 comes with extra ear tips - including premium memory foam and silicone, so you can achieve the best sound and comfort possible.